Fifteen-year old Alton has won the support of his peer group, school staff and community leaders, showing that joint action can deliver for the Common Good. He is involved in the school’s TELCO group and was a lead in establishing the Stratford City Safe zone. He has recently started 'Care For Care', encouraging students to visit the elderly. In his work with charity, he has especially excelled. 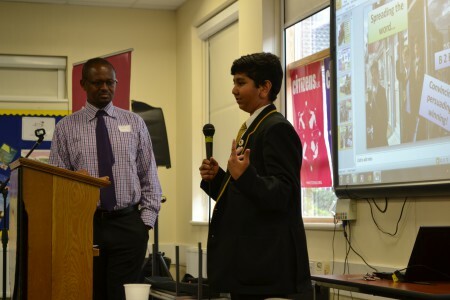 His teacher says, “He is a remarkable young man, who always goes above and beyond to think of others.” Alton’s actions took him to the Citizens UK General Election Assembly, where he appeared on stage with national political leaders. His peers have as a result, been given a glimpse of a world that they did not know about and have engaged in the concept of politics and the way that politics can be a positive influence for society.